Plus Size Kitten: Smooth Me Legs Please! This month's issue of Seventeen has a feature on hairy issues, well particularly on how to get rid of your hairs (okie fur as Veronica from Archies would call it). I know sometimes its embarrassing to have odd hairs spurting out of your hands or legs (where you thought u had zap them away) and at times you think twice about wearing that bikini/swimsuit because you haven't shave (shave what the guys will ask? don't tell them!). being a girl so much things to do?! So back to the hairy issue, what are some of the ways you can get rid of your fur? we all know the all famous and convenient way is to SHAVE (but your furs grow back again, fast and pokey). Then there's waxing which might caused an infection if not done properly (leave it to the professionals I tell u! I experience my ups and downs with waxing sob sob). There's also depilatory creams (where u can find from Guardian/Sasa/Watsons, smooth them on shower time and after a few mins your hair kinda melts away by itself). Probably a trillion ways to get rid of your furs out there right? well today there's one more miracle worker as some would say out there waiting to be tried and tested. It looks like a body pad brush except without brushes and it's suppose to remove your fur. How? well as I read, it says slightly apply pressure and go in circles on your [where u place it]. Hair would be remove that way and you don't really feel pain! I suppose it's like rubbing your skin and in same time it exfoliates (scrubs) and pull the hair off without you knowing? I tried it at home and it does work! but being a beginner I must say it would take some time getting use to this new way as compared to using my shaver. At first I didn't even know you have to put the crystal pad on the pink holder. I was just massaging my skin for like minutes before thinking..maybe I did something wrong here. True enough, it's the black pad crystal thingy called "SmoooothLegs™ Micro-Crystal Pads" that I needed to stick onto the brush pad holder to get things moving. Apparently the crystal pads has thousands of tiny tiny superfine crystals that buffs away your hair while scrubbing dead skin off. The result would be hair removal, smooth and soft skin (and shall I add that wherever that you're doing this on gets some pampering massage time as well). Gosh look at the time, I gotta go! 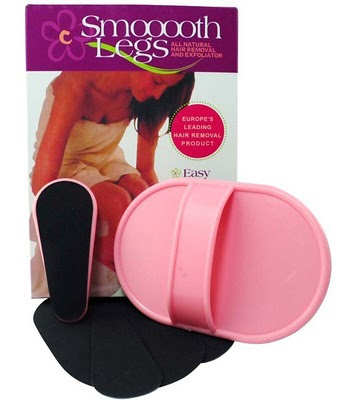 be back again with pictures of the "smooth legs" and "cystal pads" to show you all. FAILURE MIU!!! tak tau guna benda (don't know how to use) on first try. If anyone is interested Smooth Legs is RM29 inclusive of postage already by Supermodel's Secrets Blog Shop (just the name gives me shivers) There's more infomation there if you girls can't wait for me to go into details (coz i wanna show pics of how it works n such). u give the best reviews girl! i want one now! awwwwwwwwww!!!! babe thanks so much for your compliment! haha hey!!! wanan be swap buddies? Visiting here..Nice.. special contest bring to u. Don’t Miss it! interesting products... tell us how it work ya..
wa this is so great, I want one too! "Organic Mulch) (University of Illinois at Urbana-Champaign, NRES-19-97). Louis, a new delivery tradition has been created: the "Mulch Man. The less competition, the better off your plants will be. between the rows. Try these top five organic garden weed controls that actually work. you go by the wheelbarrow load. Blistering heat and bitter freezing cold can crack the toughest of concrete. * Not Ideal For Floors: While this is a great option for the walls, it's a less-than-impressive option for the floors. Today there is still plenty of activity in all the area mines. It also happens sometimes that your character will say something silly. UK and other places. Include the locality Most realtors, property brokers and owners miss out on this when placing ads in newspapers for selling or leasing their properties. ranks. They also delight in the creativity provided by the activities. The second and major mutiny ends with a bang and not a whimper. Luckily, there are many methods in safely removing unwanted hair. replenishing treatment that protects and maintains hair condition. but you can find a few affordable pure silicone hair products (see below). Loccitane Marche Du Provence & Collect 7 Stamps! Les Floralies comes to One Utama! Plus Size Kitten on FaceBook!